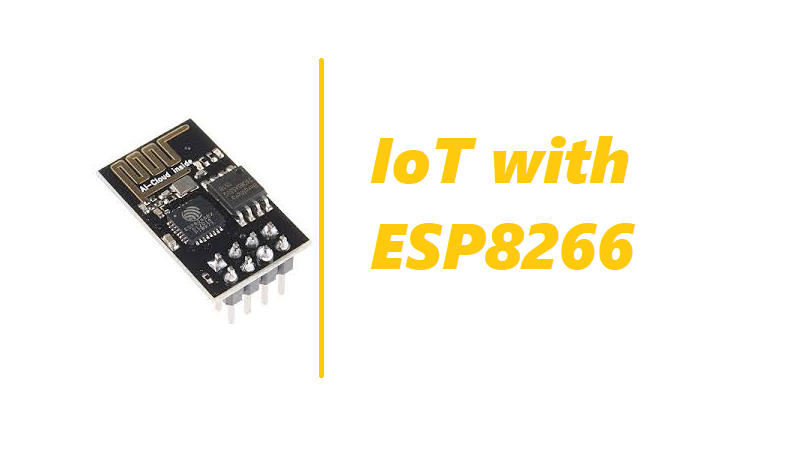 ESP8266EX (simply referred to as ESP8266) is a system-on-chip (SoC) which integrates a 32-bit Tensilica microcontroller, standard digital peripheral interfaces, antenna switches, RF balun, power amplifier, low noise receive amplifier, filters and power management modules into a small package. It provides capabilities for 2.4 GHz Wi-Fi (802.11 b/g/n, supporting WPA/WPA2), general-purpose input/output (16 GPIO), Inter-Integrated Circuit (I²C), analog-to-digital conversion (10-bit ADC), Serial Peripheral Interface (SPI), I²S interfaces with DMA (sharing pins with GPIO), UART (on dedicated pins, plus a transmit-only UART can be enabled on GPIO2), and pulse-width modulation (PWM). The processor core, called “L106” by Espressif, is based on Tensilica’s Diamond Standard 106Micro 32-bit processor controller core and runs at 80 MHz (or overclocked to 160 MHz). It has a 64 KiB boot ROM, 32 KiB instruction RAM, and 80 KiB user data RAM. (Also, 32 KiB instruction cache RAM and 16 KiB ETS system data RAM.) External flash memory can be accessed through SPI. The silicon chip itself is housed within a 5 mm × 5 mm Quad Flat No-Leads package with 33 connection pads — 8 pads along each side and one large thermal/ground pad in the center. Read about For Overview, Datasheet, Technical Reference. Vendors have consequently created a multitude of compact printed circuit board modules based around the ESP8266 chip. Some of these modules have specific identifiers, including monikers such as “ESP-WROOM-02” and and “ESP-01” through “ESP-14”; while other modules might be ill-labeled and merely referred to by a general description — e.g., “ESP8266 Wireless Transceiver.” ESP8266-based modules have demonstrated themselves as a capable, low-cost, networkable foundation for facilitating end-point IoT developments. Espressif’s official modules are presently ESP-WROOM-02 and ESP-WROOM-S2. NodeMCU is an open source IoT platform. It includes firmware which runs on the ESP8266 Wi-Fi SoC from Espressif Systems, and hardware which is based on the ESP-12 module. The term “NodeMCU” by default refers to the firmware rather than the development kits. The firmware uses the Lua scripting language. It is based on the eLua project, and built on the Espressif Non-OS SDK for ESP8266. Arduino-like hardware IO – Advanced API for hardware IO, which can dramatically reduce the redundant work for configuring and manipulating hardware. Code like arduino, but interactively in Lua script. Nodejs style network API – Event-driven API for network applicaitons, which faciliates developers writing code running on a 5mm*5mm sized MCU in Nodejs style. Greatly speed up your IOT application developing process. Lowest cost WI-FI – Less than $2 WI-FI MCU ESP8266 integrated and esay to prototyping development kit. We provide the best platform for IOT application development at the lowest cost. Development Kit – The Development Kit based on ESP8266, integates GPIO, PWM, IIC, 1-Wire and ADC all in one board. Power your developement in the fastest way combinating with NodeMcu Firmware! NodeLua is the FIRST open source lua based firmware runs on ESP8266. The goal is to make IoT programming easier. Not only an interpreter, but with a Web IDE, Cloud APIs, Mobile App libraries, which makes you creating a real ‘thing’ running on your customers home more robustious and easier. It is currently running on ESP8266 and planned to support more chips, based on the lua language, nodejs-like APIs, but 10 times faster and 100 times smaller than nodejs.